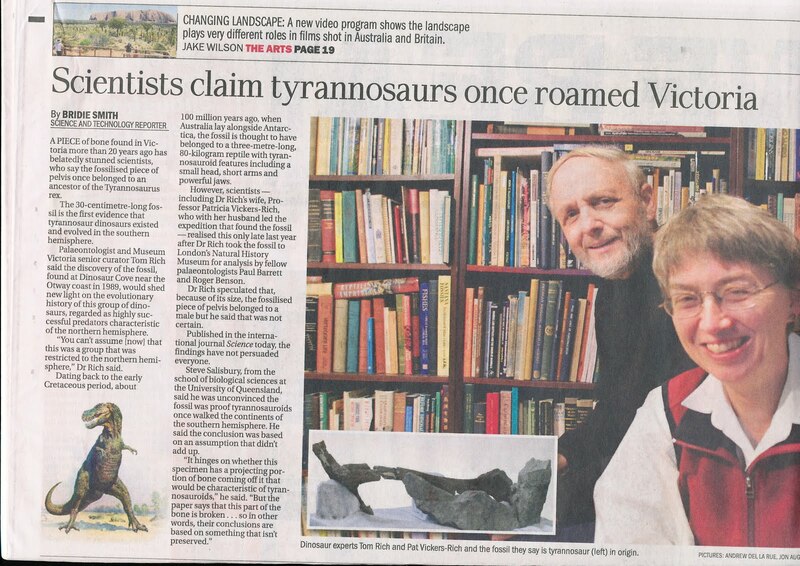 A story in Today's Age about the tyrannosaurid dinosaur found at Dinosaur Cove in 1989. 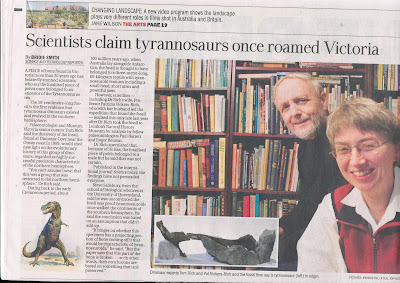 For those who missed the Gippsland WIN News story the first time around, go to http://www.wintv.com.au/gippsland/video#container and look for Win News Dinosaur Dig story (Date: 25 February 2010) in the Video Gallery. You'll see Lesley explaining stuff to schoolkids, Norman working hard and John Swinkels rolling up his sleeves to show off for the camera! 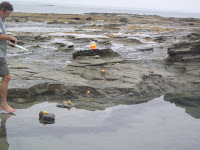 Thanks to Ann-Marie for spotting the clip on-line. 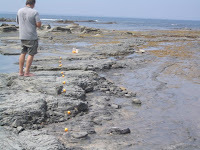 John finds a pile of orange ping pong balls and uses them as markers to map our site. 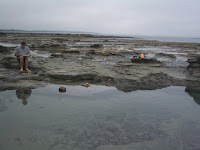 Mike lead a small prospecting team to the San Remo back beach yesterday (it was meant to be a slightly larger prospecting team but the weather forecast was pretty grim). 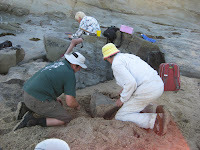 They saw out a fossil found earlier. 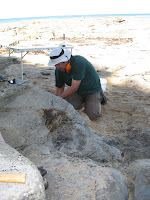 Week 4 "bones of the day"
Tue 23 - Large ornithopod limb (probably femur) from "the hole"
John and Alan remove the exposed rocks near the prep table on Thursday 25th. They claimed it was for our safety not just because it was fun! and we must say farewell my friend. “It's FISH ” is said with wrinkled nose! Were the assorted sleepy groans! Just to find that elusive bone. We've shared much laughter and such fun. Radio and print news was BIG. 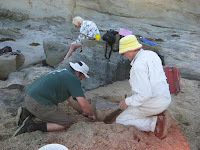 With her Dig team – how could we miss! The whole production is First Rate. By diggers across every land. 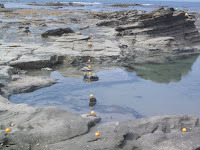 For Bikkies, Groyne, Food and Foreman. For letting us be diggers too. Confirm to us – you are the BEST. 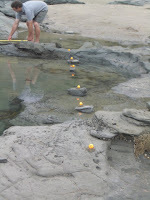 To work beside the Dreaming Pool.